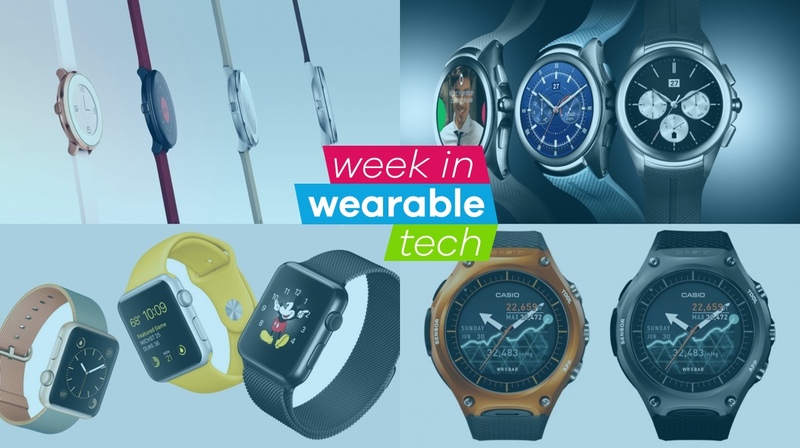 After last week's ridiculously busy schedule, we were expecting a quieter week in the world of wearable tech this week. But Apple had other plans. And Microsoft. And Casio. And LG. We didn't get the Apple Watch 2 announcement, or indeed details on watchOS 3.0, but Apple still unveiled some wearable goodies at its big iPhone SE launch event. Tim Cook and the gang revealed more than 20 new Apple Watch bands including Woven Nylon bands made from colorful materials that are crafted in four-layers, new Sport Bands, more Leather band colors and a Space Black Milanese Loop. The lowest Apple Watch price also dropped from $349 to $299. Disappointed about the lack of a sequel? Don't be - our ed Michael Sawh says that the Apple Watch 2 no show is a good thing. The Casio Smart Outdoor Watch WSD-F10 Android Wear smartwatch is now on sale. Costing $500, it's available in four colours - red, green, black and orange. The Casio uses a US military standard MIL-STD0810 of dust and shock resistance and is waterproof to 50m. It also sports a unique display - at least for an Android Wear smartwatch. The 1.32-inch screen comes with a second monochrome display that can be used instead of the colour panel to boost battery life up to a month. If you're looking at getting in on the Google smartwatch action, take a look at our Android Wear super guide first. Pebble's CEO Eric Eric Migicovsky revealed this week that he is letting go 40 members of staff; around 25% of the Pebble workforce. Some are claiming this is part of a wider trend in wearables with Fitbit's wobbly stock market activity and the Apple Watch's recent price cuts. Are you a Pebble user? Be sure to check out our pick of the best Pebble apps. Remember the LG Watch Urbane 2nd Edition LTE - the cellular capable smartwatch that was cancelled just days after it was launched in late 2015? It's making a comeback. The next-gen Urbane is now available to order (again) through AT&T and Verizon. The 3G/4G connectivity is a first for Google's smartwatch platform, allowing tether free functionality including calling. Microsoft is bringing in some friendly competition to the Microsoft Band 2 with the help of Facebook. The Health app lets you connect your Facebook account to see who else is using Band to get fit. From there, you'll be able to go up against friends with Social Challenge for most steps and calories burned, longest bike ride and more. Every week we pick out the most promising crowdfunding projects hoping to get funding to make their idea a reality. This week the focus was on Protonet Zoe - a smart home hub that connects all of your smart home devices and works with the likes of Nest, Amazon Echo and Philips Hue. The big sell here is that any of the information your share with those devices are not stored in cloud servers. It's all processed and kept directly on the Zoe device keeping the data nice and secure.